Naughty, naughty me… I have a new obsession and it’s coconut water! Granted, this may not be such a surprising development after having partially grown up surrounded by sunshine and coconuts in the tropics. But, it was definitely my winter vacation that cemented the love affair. Coconut water is extracted from young green coconuts as the hazy white natural juice inside. For those of you who’ve yet to give it a go, it tastes a bit like tree water, like if you’d put a piece of wood in a glass of water and not necessarily like the sap. It can be undeniably refreshing, especially if your prune to bouts of nostalgia for those relaxing holidays you spent by the beach slurping on the real thing. I’ve seen it marketed as the healthy all-natural option of sports drinks to be enjoyed after hitting the gym particularly hard, but for me, I’m just a fan of the peculiar taste and wonderful memories I have of drinking it. Regardless, it must have some sort of health benefits (yes, that’s probably me just trying to convince/justify my indulgences). While in Thailand, I asked and was told that it is the young and slightly immature coconuts that they harvest when they are about 5-7 months to use for the drink. They added that the water was full of minerals like calcium, iron, manganese, magnesium, and zinc .. Sounds good, doesn’t it? So tell me, have you ever tried a slurp and if so, what did you think? 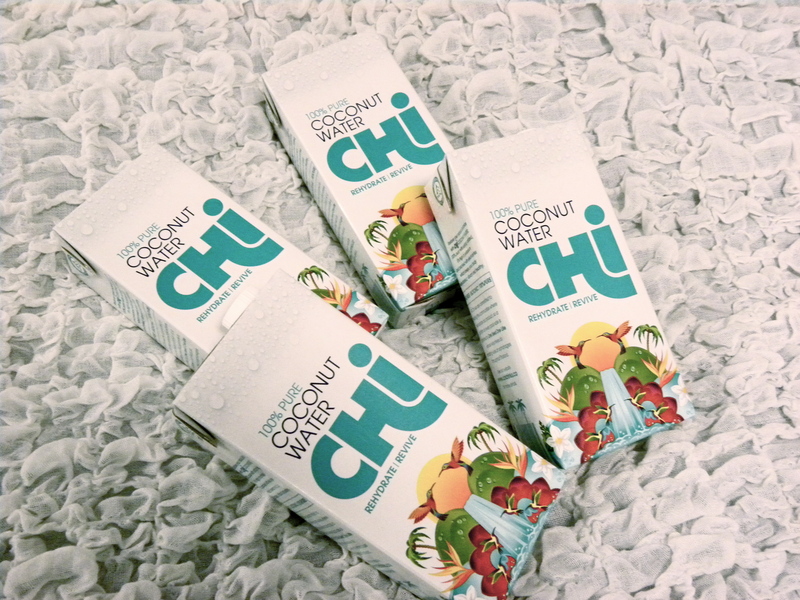 This entry was posted in Food, Inspiration, Life style, Shopping and tagged 100% Pure, Chi, Chi Coconut Water 100% Pure, Coconut Water, Food, Health, Inspiration, Life style, Shopping by linneabylinneanilsson. Bookmark the permalink. Coconut water mixed smoothies with chocolate sounds a-m-a-z-i-n-g, I’ll be sure to give that a try, thanks! I love coconut water. I drink it all the time when I am in Brisbane, but I have not yet seen it in Italy. Maybe they stock it in a specialty organic grocery store, here it’s been completely obscure until I magically stumbled upon it at whole foods and then planet organic. As ridiculous as it may seem, it’s becoming quite the up and coming/ trendy drink.